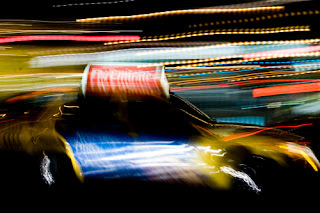 SF Taxi Media: Recap of Monday’s Taxi Advisory Council Meeting, May 9, 2011. By John Han. Recap of Monday’s Taxi Advisory Council Meeting, May 9, 2011. By John Han. At Monday’s Taxi Advisory Council (TAC) meeting there was some discussion but no action regarding recommendations to be put into the interim report for the Medallion Sales Pilot Program. Further discussions with actions for recommendations will be held in upcoming TAC meetings. Another 'special' TAC meeting has been scheduled for Monday, May 16, 2011 to discuss meter increase and radio dispatch surcharges. That meeting will be held immediately following the town hall meeting scheduled that day with SFMTA’s staff summary of public comments regarding a meter increase, credit card fees, and rear seat payment terminals. Wednesday, June 1st, 2011 – Regarding electronic waybills, from 12pm – 3pm, and 6pm – 9pm. Monday, June 6th, 2011 – Regarding peak time taxis, from 12pm – 3pm, and 6pm – 9pm. Wednesday, June 8th, 2011 – Regarding Taxi Services staff summary of public’s comments and staff recommendations, from 12pm – 3pm, and 6pm – 9pm. According to the Hayashi’s report, the MTA Board of Directors meeting scheduled for May 17th regarding taximeter rate increases will begin public discussion on meter increases at 2pm. The 2pm set time is to eliminate uncertainty and fluctuations in the work schedules for drivers who are hoping to attend the meeting. Drivers expecting to attend should set work schedules accordingly that day. Also, the MTA Board is expected to vote that day on whether to eliminate the July 1st deadline for taxi companies to implement electronic waybills. That decision will be based in part upon the outcome of public discussions during town hall meetings. The Council Liaison further reported that staff would be working with Parking Control Officers (PCO) to inform PCOs about taxis parking temporarily in bus zones, handicap zones, red zones, bike lanes, etc. for the purpose of loading and unloading passengers, and that PCOs should not cite taxis while engaged in loading and unloading. Hayashi said that staff is also expecting to issue bumper stickers that would inform traffic that taxis are entitled to stop in bike lanes temporarily to load and unload passengers. Additionally, the Council Liaison reported that the MTA Board of Directors had referred specific issues that should soon be discussed by the TAC including credit cards, peak time taxis, and centralized dispatch. With regards to centralized dispatching, councilmember Carl Macmurdo questioned whether any member of the MTA Board actually had referred centralized dispatch to the TAC for public discussion, or if the MTA had really meant to say Open Taxi Access. There was no reply from the Council Liaison's report. Finally, Hayashi said the May 10th and 11th town hall meetings regarding meter increases, credit card payments and allocation of transaction fees, and rear seat terminals would likely draw a wider audience than other town hall meetings, with members of the public rider-ship and media likely to attend. The town hall meetings and Taxi Advisory Council meetings will be held in the 2nd Floor Atrium at One South Vanness Avenue. One member of the public, not a taxi driver but a resident in the outer avenues Richmond district, said during public comment that he was opposed to any radio dispatch surcharge. The commenter said that such a surcharge would be unfair to residents in those outer lying areas, some of whom are senior citizens. He said a surcharge would wrongfully make those residents pay more than visitors in more convenient hotel locations downtown, and that radio surcharges would lead hundreds of residents to protest City Hall. Notices from the San Francisco Federal Credit Union were made available announcing an “Informational Session” for medallion holders expecting to sell their medallions, and taxi drivers who have received offer letters from the SFMTA to purchase a medallion, or anyone interested in learning more about the medallion sales loan process. Thursday, May 12, 2011 from 2pm to 3:30pm. Space is limited. RSVP requested by Tuesday, May 10th. Session 1: Thursday, May 19, 2011 from 12:30pm to 2:00pm. Session 2: Thursday, May 19, 2011 from 6:00pm to 7:30pm. Session 3: Thursday, May 26, 2011 from 12:30pm to 2:00pm. Session 4: Thursday, May 26, 2011 from 6:00pm to 7:30pm. Description: "Learn about the medallion sales process from the buyer's perspective. Understand the down paymnet requirements and down payment assistance. Understand the loan process and how to submit your loan application package. Questions and answers. Credit Union information." Space is limited. RSVP requested by Tuesday, May 17th. Divide and conquer is MTA's goal. This is just a MTA distraction. The heart of the matter is monitoring cab drivers throught a credit card processors system that needs 5% charge which relates to ... a meter increase that relates to ....dispatch that relates to more cabs during peak-timers. Seems MTA can talk about one without talking about the others. The fact is "the train" is already out of the barn and 5%, for weeks now, is being squizzed (intimidated)out of driver ...even before it's lawful. few months as well as Chris Hayashi and Ford MTA chief job. from you and stop writing against the drivers. I am not sure, but sfmta probably throw drivers a bone with fare increase while enacting electronic waybill. I may cut back shifts because of electronic waybill. electronic waybill probably will be connected to the new health care plan the government is enacting in next few years where taxes and income are tied to the health plan.